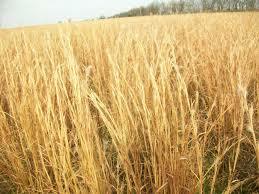 Broomsedge bluestem is a very hardy plant that can survive harsh winters and dry, hot summers. Hardy planting zones are 3-8. The growth rate is 2-feet per year. It reaches 2-3 feet in height and 6-8 inches in width. The sedge needs full sun and wets to moist soil conditions. It does well in sand, gravel, or mud. It is native to North America and typically found in bogs, swamps, or watershed. Broomsedge bluestem, (Andropogon virginicus) is a perennial grass found across the eastern United States. It is commonly found growing in prairies, pastures, abandoned fields and alongside railway tracks. The grass stands between two and four feet tall and is distinguished by its dry, straw-colored foliage. Its culms are flat to partially folded and light to medium green in color. In general, the grass grows in regions where rainfall exceeds 25 inches per year, and it undergoes the most growth during summer and early fall. It is capable of growing in a variety of conditions and surviving within the most infertile of soils. Moreover, the grass thrives in barren environments where most plants cannot live and prefers loose, sandy, low phosphorus soils. It prefers direct sunlight and little to no watering These properties make broomsedge a perfect choice for those who prefer to take a low-maintenance approach to a garden. 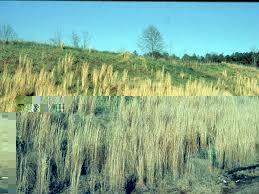 The best time to plant broomsedge is during late spring when soil temperatures are well above freezing. The best method for establishing stands of grass is to use direct seeding. However, transplanting is also possible. Seedlings develop rapidly, and the plant takes two to three years to establish and reach reproductive maturity. This grass has green leaves; As the plant matures they turn brown and wither. Blooms are light green slender spikelet pods. The culms are U-shaped and concave. Turtles tend to feed on this grass. It is also a food source for other waterfowl and birds.